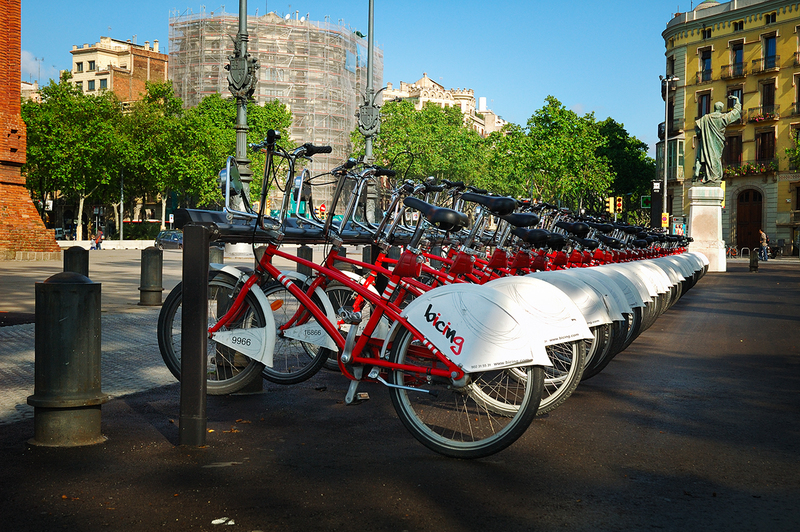 A very common image in Barcelona city nowadays, that of a Bicing station with the usual rack of bikes. This one in particular is the one on the right side of Arc de Triomf monument at Passeig de Lluís Companys. I found the perspective kind of interesting so I thought of sharing it with you. Nice weekend! My wife and I spent 2 weeks in a top floor apartment in the building with the scaffolding last spring. We loved it and have many wonderful memories of our time in Spain. All bikes are in same model, same as here in old city area. They prepare same bikes model in a row for tourist. Bikes in a Row. Nice one.